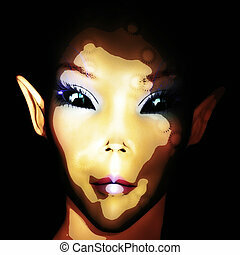 Alien girl illustration. 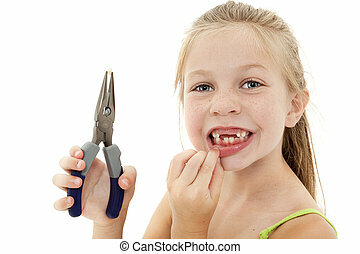 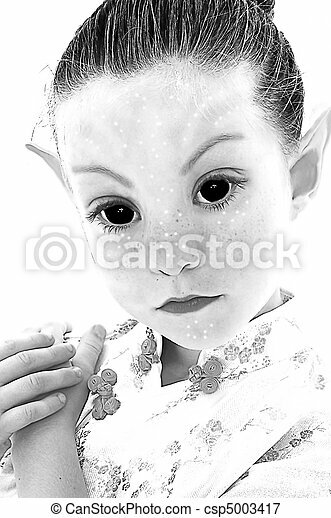 Illustration photograph of black and white alien girl over white. 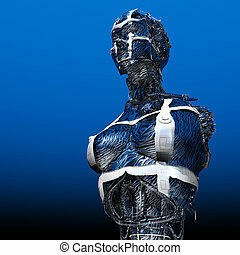 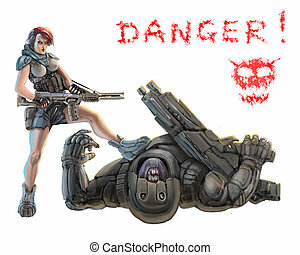 Partisan girl in armor stands over defeated stranger alien. 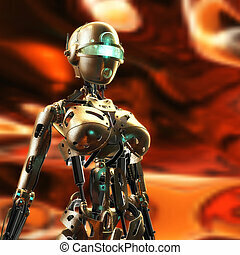 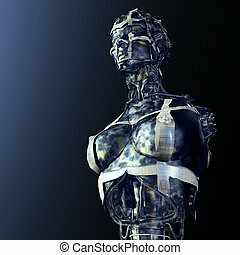 Science fiction illustration. 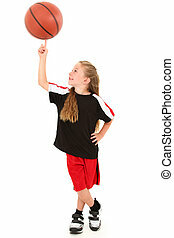 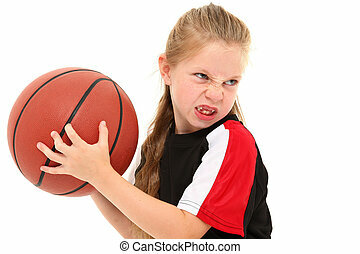 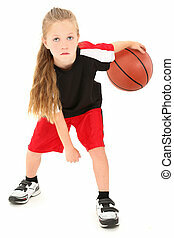 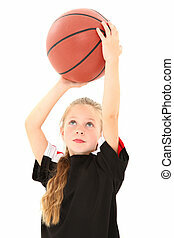 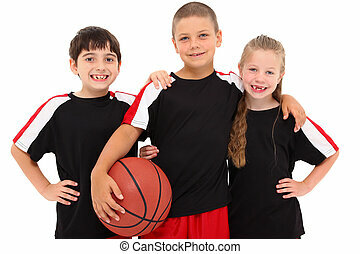 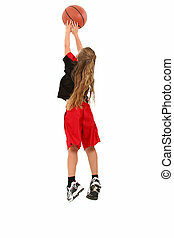 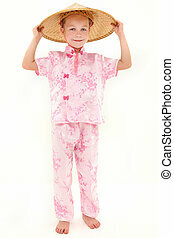 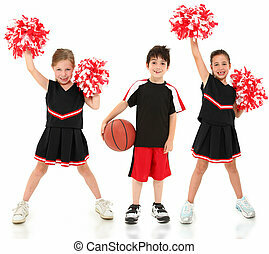 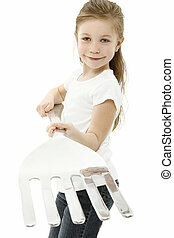 Proud young girl child basketball player in uniform spinning ball on finger over white background. 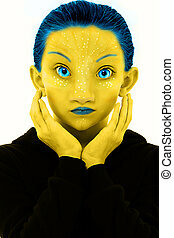 Illustration Photograph of a yellow and blue alien girl meditating over white. 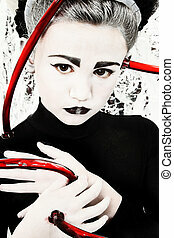 Beautiful young woman in goth make-up over black. 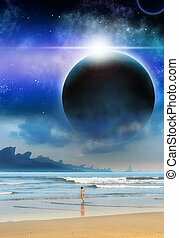 Reflection of planet in eye. 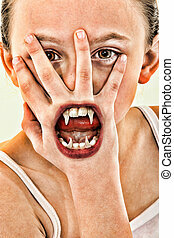 Illustration of Beautiful Fourteen Year Old Girl Portrait. 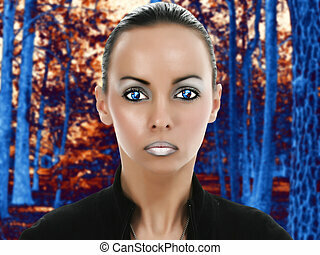 Beautiful young alien woman in fantasy sci-fi portrait in forest. 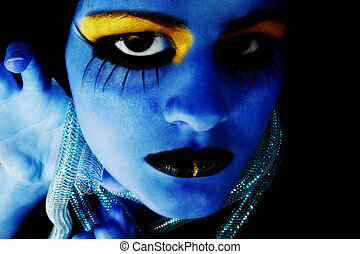 Illustration and photography combined. 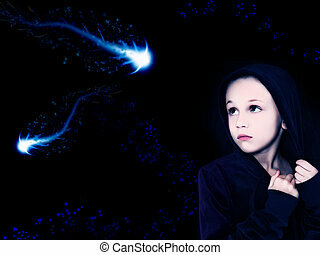 Beautiful girl looking at space creatures in the night sky. 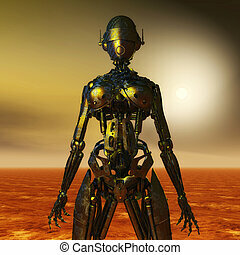 Young teen girl dressed up as a futuristic alien bounty hunter for Halloween. 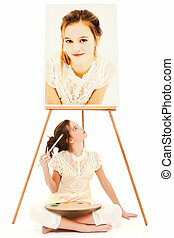 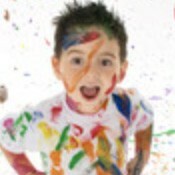 Beautiful 10 year old tween girl sitting beneath easel with self painting over white. 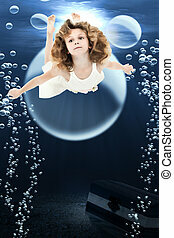 Adorable 7 year old girl in dress swimming under ocean swimming past treasure chest and bubbles. 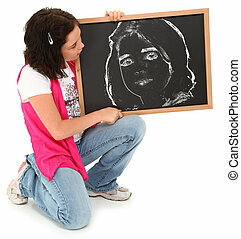 Beautiful american 12 year old girl with chalkboard drawing of herself over white. 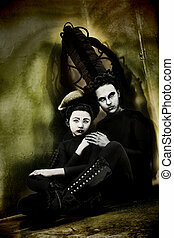 Alien monster mother and daugther portrait in alien world. 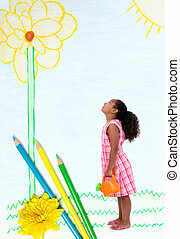 Photograph of girl standing in pencil drawn garden with watering can.